Prerequisite: junior status and MCOM 2320 or consent of instructor based on demonstrable professional experience. Decision-making in the editing process. Principles of typography and design for print and online media. Prerequisites: junior standing; MCOM 3360 recommended prerequisite. The restrictions, obligations, and responsibilities of the news media; the law and its effect on publishing and broadcasting; relations between the law and freedoms protected by the U.S. Constitution. Broadcast news policies; history; governmental, other forms of regulation; social implications; influence of various publics on radio-television news coverage. Prerequisites: MCOM 2320, 2350, and 3320; MCOM 3315 and 3360 may be taken as prerequisites or corequisites; or consent of instructor based upon demonstrable advanced media experience. Practice in gathering materials and writing in-depth stories on public affairs; emphasis on courts, police, government, education, ecology, the economy, and social issues. Prerequisites: MCOM 2320 and 2350. Planning, researching, and writing the feature article for newspapers, magazines, and online publications. Emphasis on humanistic reporting and providing a context for the news through thorough research and application of this research to the article. Materials submitted as assignments are subject to publication. Journalistic ethics and practices; professional conduct, responsibilities of the journalist in a free society. Prerequisites: MCOM 2320 and 2350; MCOM 2350 may be corequisite. The journalistic function in public relations, includes the writing and processing of news and feature releases for print and electronic media and editing internal and external publications. Three credits. Study of recent public relations cases involving business, industry, institutions and government. Students will also be introduced to public relations theories as they are applied in case studies and will analyze cases in terms of their component parts. Prerequisite: junior standing and consent of instructor. Advanced and specialized topics in mass communication, especially those of current interest and relevance to mass communication professionals. Possible subjects include the following: journalism, entertainment, production and design, Web and media, strategic communication, mass media, etc. Classes will provide an in-depth understanding of topics chosen. Refer to the semester schedule for specific topics offered. This course examines the material and ideological representations of various racial and ethnic groups in the United States as reflected in the media including both historical and contemporary depictions. Students explore theories including racial formation, otherness, and commodification among others. In this course, students learn the origins of ideological and material representations of minorities; how they are maintained in the culture and in the media; the similarities and differences in depictions among and across racial and ethnic groups; and the impact of these representations on the various minority groups and society as a whole. Prerequisite: consent of a graduate faculty member. Individual work on selected problems in mass communication. Prerequisite: consent of a graduate faculty member. Individual readings of selected works in mass communication. Introduces graduate students to Mass Communication graduate program content and faculty expectations; to IRB certification; to social-science research techniques and interpretation; to scholarly manuscript process and presentation; and to post-MA career possibilities, both professional and academic. Structure, theory, processes, effects of mass communication, mass media in the U.S.; relationships of media to one another, to other major institutions in U.S. society, to individuals and groups. Application of behavioral science methodology to news reporting, especially to reporting of governmental, public affairs. Comparison, contrast of mass media around the world; interaction between media and governments; role of media in the development of nations; international communication theories, models. This course examines the role and function of ethnic and alternative news organizations in America from historical to contemporary times. Students will consider how ethnic and alternative news organizations and outlets have changed and contributed to society, as well as obstacles facing these organizations. Students will explore similarities and differences between mainstream news organizations and alternative media outlets. Review and assessment of writings, primarily books, concerning various aspects of journalism to provide a familiarization with and understanding of the body of literature pertaining to the discipline. Interaction between press and institutionalized propaganda; theory, practice of persuasive campaigns created and implemented by political, religious, commercial institutions; strategy and media use for creating public opinions and issues, candidates, products, policies. Prerequisite: MCOM 4352/5352 or equivalent. Pinpoints research procedures and provides incentive, direction, and a forum for examining topics in mass communication law; treats specific problems by examining statutory confines and court interpretations. This course is an overview of the policies and regulation that govern the Internet as a mass medium. It focuses on areas of active discussions among mass media practitioners, legislators, policy makers, the law courts, scholars and the American people. Prerequisite: MCOM 7310 or equivalent. Methodological approaches to the study of mass communication structure, processes, effects; emphasis on survey and experimental research procedures and content analysis. This course adopts a qualitative methodological approach to research in the framework of humanities, popular arts, critical theory, and cultural studies. It examines the social, cultural, and informational dimensions of mass media – the structures of mass media industries, and the mass media industries as culture industries. Historiography as applied in the field of journalism history; analysis of and practice in the scholarly writing of journalism history; selected topics in journalism history. Three credits. Study of public relations strategic media planning with special emphasis on the application of public relations principles as they apply to non-profit organizations. Includes student project. Media’s comment function, policies, problems. Students in this course will learn how to use various multimedia tools to write and produce journalistic content for various online media venues. This course involves learning how to design and publish multimedia mass communication content on the Internet. It is a lecture, lab and project based course that focuses on the principles of convergent journalism and the processes of responsive design and publishing mass media content on the Internet. 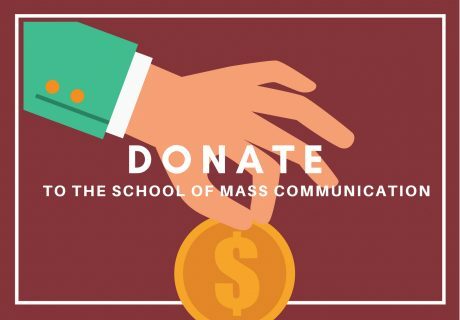 Under the direction of their supervisory committees students will use this course to complete professional-quality mass communication projects that integrate and synthesize their graduate experiences in the Professional Journalism/Public Relations Option. 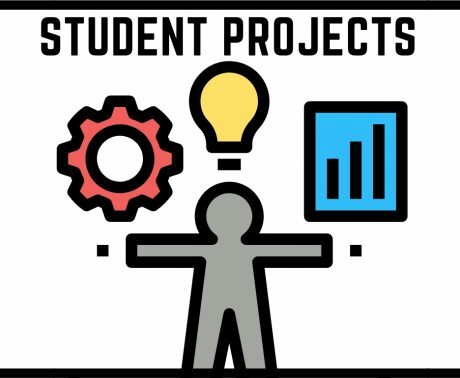 These projects will demonstrate the student’s mastery of the discipline and provide the framework for future work in the field. Prerequisite: successful completion of comprehensive examination. A scholarly work, based on research that advances an original point of view in the discipline of journalism. Variable credit of one to six hours.